Many of you know that Waukee was founded in 1869 when General Lewis Addison Grant and Major William Ragan purchased 320 acres of land around the Des Moines Valley Railroad bed. But who were these two men, Lewis Addison Grant, and William Ragan? 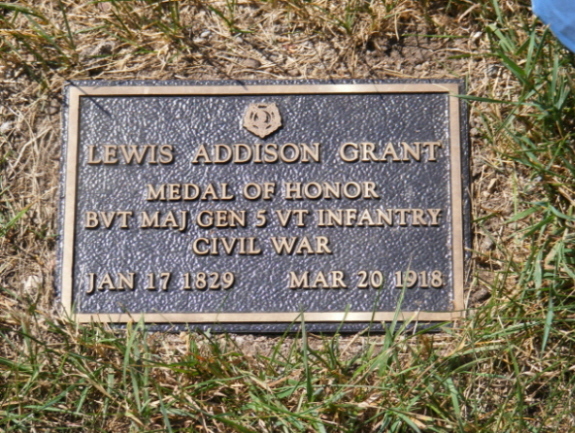 Lewis Addison Grant was born on Jan. 17, 1828, in Winhall Hallow, Vermont. He was the youngest of 10 children. His parents were James and Elizabeth Wyman Grant. He attended school until he was 16 years old in Townsend, Vermont. He attended the Academy at Chester. He taught school for five years while he studied law. He passed the bar in 1855 and practiced law in Bellow Falls, Vermont. On March 11, 1857, he married S. Agasta Hartwell. The couple welcomed a daughter named Augusta Sarah in 1859, and unfortunately, Mrs. Grant passed away on January 27, 1859. Lewis remarried four years later to Mary Helen Pierce, and they had two boys—Ulysses Sherman, born in 1867, and James Colfax, born in 1869. Mary Helen was a niece of President Franklin Pierce. Grant left the firm of Stoughton & Grant to join the army at the onset of the Civil War. He was commissioned major of the Fifth Vermont Infantry Volunteers which was mustered into service on Sept. 16, 1861, at St. Albans, Vermont, to serve three years. He later accepted an additional year of service. General Lewis A. Grant was a distinguished officer and commander of the famed Vermont Brigade. He was honorably discharged on Aug. 24, 1865. He was approached to accept another commission in July of 1866. After four years of serving, he declined the honor, preferring to live a private life. After his discharge, he resumed practicing law in Moline, Illinois, and later, Des Moines. From 1890 to 1893, General Grant served as Assistant Secretary of War. During six weeks of this time—Nov. 5, 1891 to Dec. 17, 1891—he was Acting Secretary of War under President Benjamin Harrison, until Secretary Elkins entered office. On May 11, 1893, General Grant received the Medal of Honor for his part in the Battle of Salem Heights. Grant died on March 20, 1918 in Minneapolis at the age of 90. He is buried at Lakewood Cemetery in Minneapolis. William Ragan was born in Pennsylvania in 1836. He was mustered in as a first lieutenant in Iowa’s volunteer 18th Infantry I Co. on Aug. 6, 1862. He was promoted to major on May 12, 1865, with a regimental company transfer. Major William Ragan mustered out on Oct. 3, 1865 in Davenport. In 1871, Major Ragan sold his remaining interest holdings in Waukee to O. W. Mead via a quick claim deed. In 1878, his wife Sarah Jane Ragan passed away, leaving William with four children—Maria Louise, age 9, Marchella, age 7, William Junior, age 2, and Letittia, age 1. In 1883, Ragan was a real estate developer/builder in Minneapolis, living with his children and a domestic helper. I found no evidence that he remarried. Minneapolis experienced a housing boom with a steady population increase between 1880 and 1890, and Ragan began developing the land between Franklin Ave. and 24th St. The land was originally platted into two full blocks and two three-quarters size blocks. Seeing the potential for more economic return, Ragan turned the land into four half-blocks. The alley between 22nd and 23rd Avenues was transformed into a street 38 feet from the east face of blocks 1 and 2 of Ragan’s Addition. His lots were only about half the size of a normal Minneapolis city lot at the time. Today, Ragan’s Addition, which began as housing for Scandinavian and East European immigrant workers for nearby Milwaukee Railroad shops, yards and new factories, was listed on the National Register of Historic Places in 1974. I could not find any information about Ragan’s whereabouts after his interest in the Minneapolis boom ended. I suspect that he may have gone north into Canada. The Waukee Area Historical Society will be hosting a 150th birthday celebration for our community in June 2019. Lyn Schafer was born in Portland, Oregon, and her family moved to Iowa in 1962. She has also lived in Washington, California, Virginia, South Carolina, Illinois and Connecticut. After returning to Iowa with her children and managing a flower shop in Des Moines, she heard about a flower shop for sale in Waukee that was owned at the time by Rick Husery. In 1990, she bought the store—Classic Floral and Gifts. A single mother since 1983, Schafer raised five children and fostered four others. She worked very hard to help reunite the foster children with their families. Her children are Andrea (47), Erin (44), Michael (42), Jason (38) and Savannah (22). Three of her five children, as well as her four foster children, attended Waukee schools. Classic Floral is not only a business, but also the family’s home. In 1992, Schafer bought the building and later had the north side of the building converted into a home for her family, including their rescue dogs. Classic Floral has been a family affair ever since. Schafer has fond memories of her grandchildren hunting for chocolate eggs in the flower shop every Easter. Bernice Johnson, an employee, recalls finding the missed eggs several weeks after and tossing the stragglers in the fall. Johnson also fondly recalled that Brandon, the oldest of Schafer’s eight grandchildren, would hide his toys in the flower shop when he was very young, and she would find them while she was working. Johnson has been a friend and loyal sidekick for 25 years, even helping watch the grandchildren when Schafer had to leave to make deliveries. When city hall, the post office, and the library moved from downtown, it was expected that the downtown area would fizzle out. The downtown businesses rallied together and there was no one more passionate about keeping downtown alive than Schafer. She had the vision to see what it could be again and understood the importance in keeping it alive. Schafer has also been a staunch advocate for the Downtown Business Group. The original members of the group were Schafer, Jerry Wright, Larry Cranel, Sheryl Humphry, Chet Chedester, Joe Stork and Bill Vasilonikolidaks. The Downtown Business Group works closely with the city of Waukee in the promotion and preservation of our downtown Triangle business area. “It takes a group to accomplish what we have,” said Schafer. Today, the Triangle Business District boundary starts at the south side of Highway 6 including Kum and Go, to the south side of Locust to the east side of 4th to 7th Street. The boundary currently encompasses over 30 businesses. As president of the Downtown Business Group, Schafer was instrumental in establishing the Waukee Farmers’ Market, which takes place every Wednesday from the first week in June through the end of September. Though she will no longer be involved after this September, her hard work will be continued for many years by the group. In addition to the Farmers’ Market, the Downtown Business Group helps with the Winter Festival every year, and gives out bananas to BACooN Ride participants. When asked about her current vision for our downtown district, Schafer said she would like to see a quilt shop and a bike shop. “These would fit best in our business district and would bring more traffic to our area,” she said. She added that these businesses would also fit into downtown’s small-town feel. Schafer has received several accolades over the years, including Waukee Citizen of the year in 2002. But the beaming look of gratitude she expressed when she showed me her 2017 City of Waukee Proclamation in Recognition of her retirement was priceless. It was a heartfelt thank-you for demonstrating her commitment, lending her expertise and using her passion to promote the Waukee Triangle Business District. “It’s never been about me, it’s been about and for the community,” said Schafer. 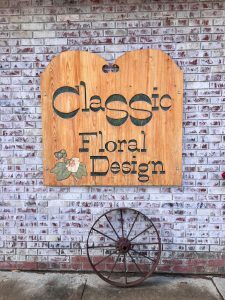 For 28 years, Schafer has been the sole owner and operator of Classic Floral. On Labor Day of 2018, the shelves will be emptied, the cooler bare, and at closing time, a long-time staple in our community will be no more. We are sad that a buyer for the business could not be found, but the truth is, Classic Floral would not be the same without Lyn and Bernice. We understand that it’s time for you both to go, but dang it, we don’t like it. Good luck to you both as you begin these new chapters in your lives. 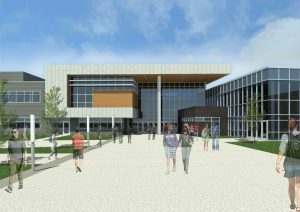 Waukee area students in graduating classes 2022-25 could be the first to attend the area’s second high school, which is set to open in 2021. The fast-growing Waukee Community School District was ready to burst at the seams with Waukee High School nearing capacity. Total districtwide enrollment increased from 2,198 students in September 1999 to more than 10,000 this year with a projection of nearly 13,000 in five years. Meanwhile, the city of Waukee had grown from 5,180 in 2000 to 20,649 last year. Its recent one-year increase of 9 percent was the highest of any city in the Des Moines area. The Waukee City Council and the Waukee school district took action in May 2016 to deal with the influx. They approved the joint use of 160 acres of green space for a new high school and a city-owned sports complex. 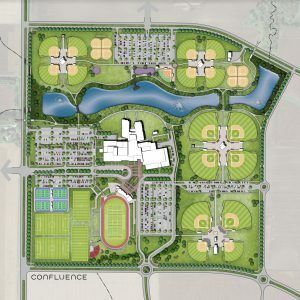 The yet-to-be-named 395,000-square-foot, 1,800-student capacity high school will reside just north of Hickman Road near the Waukee Family YMCA. 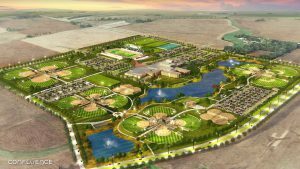 Most of the land will be used for the school and its amenities with the remaining space slated for 12 softball/baseball fields and a parking lot. Voters had to approve a referendum for $117 million in general obligation bonds for the new high school in February to make the project a reality. It required 60 percent for passage. It got 90.27 percent. The Waukee Innovation and Learning Center—a facility for innovative partnerships between local businesses, the community and high school students—may be used to house additional Waukee High School programs until the second high school opens. Details are still being worked out. The district is also adding two elementary schools to accommodate growth. 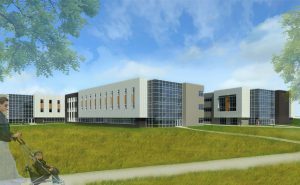 Radiant Elementary, at 5050 170th St. in Urbandale, is under construction and expected to open in the fall of 2019. Land has been purchased for a tenth elementary school off Ashworth Road, west of Ute Avenue and Highway R22. Construction is expected to begin in the spring of 2020 and it’s expected to open in 2022. A name for the elementary school has not been determined. In the meantime, Nicole Lawrence, Communications Coordinator with Waukee Community School District, said the district is closely monitoring enrollment and bringing on new teachers to ensure classrooms stay at an appropriate size. News about the district’s progress on the elementary and high school fronts has sparked questions about the middle schools as well. The district’s website dedicated to providing information about the second high school addressed the issue by stating it will monitor updated enrollment data and then make plans for how to accommodate students at the middle level. The concept for the new high school was developed through a six-month immersive design process between FRK Architects & Engineers, district administration and a visioning committee comprised of parents, students, staff and community members. “In a series of three visioning sessions, the committee learned about current standards and trends in high schools around the country, reviewed multiple layouts from newer high schools and then created building layouts to reflect district values,” said Lawrence. Feedback from the committee was used to create the building’s three-story layout, which includes a rooftop terrace, a media center with a second-floor mezzanine, an auditorium with a second-floor balcony and orchestra pit, a commons area for students and several individual and group learning areas for students and staff. There will also be a single, secure entrance for staff, students and visitors during school hours. “Open, light-filled spaces that promote collaboration and student development were high priorities for the committee, with student safety being a top priority,” said David Briden, Senior Project Architect and Principal with FRK Architects & Engineers. Incorporating a pond on to the campus was also an important and notable feature when designing the school’s layout. As instructional methods and learning styles continue to evolve, Briden said each classroom space would be adaptable and future-ready for students. The school parking lot will be ready for newly licensed drivers, too, with enough room for 1,360 stalls. Lawrence said that while the Iowa High School Athletic Association (IHSAA) and Iowa High School Girls Athletic Union (IGHSAU) ultimately determine sports classifications, the district anticipates each high school to compete at the 4A – IHSAA and 5A – IGHSAU level. “Both high schools will offer similar programming and opportunities to students,” she added. The second high school’s outdoor athletic facilities will feature a football stadium with a field and track, four practice fields, 12 tennis courts, and baseball and softball competition and practice fields. Additional amenities such as concession stands and team rooms are also included in plans. The stadium will be built in a bowl-type setting into the ground. Inside, the school will have a gymnasium seating 2,500, an auxiliary gymnasium, and a three-lane track. Abby Jones, a Waukee parent whose fifth-grade son could be attending the second high school said the addition was a definite need for the community. “I really think so much of our growth can be attributed to the school district’s commitment to offering students a truly high-quality education,” she added. During the 2015-2016 school year, 855 kindergarten students enrolled in the district—a sign of even larger classes to come. Did you know the Waukee Area Historical Society holds numerous events throughout the year, including several annual events? For instance, we hold an Alice’s Spaghetti Dinner fundraiser every April. This was our seventh year for this event, and it was a great success with a record-breaking crowd. We also hold an annual Cemetery Walk on the first Sunday in June at Waukee Cemetery. This year, our speakers along the walk were Estella Copeland, Lillian Vignaroli, Francis Jamison and Chuck Garland. Our 2018 Cemetery Walk Committee did a very good job. Committee members were Marie Nizzi Kayser, Don Bailey and Greg Ruble. In addition, every first Sunday in October is our Heritage Day. In 2016, our Heritage Day topic was “Waukee’s Agriculture and Railroads.” In 2017, it was “Waukee’s Founding Families” with a children’s story time presented by Dena Forret. This year, our presentation will be on Waukee’s coal mining history. Bruno Andreini will present a program on the Shuler Mine, and Dena Forret will speak about growing up and living at the coal mine camps. The program will begin at 1:00 p.m. on Sunday, Oct. 7 at the Waukee Public Library. More information about the Heritage Day schedule will be released in September. We also partner with Kristine Larson and the Waukee Public Library to bring our Local History Series to the public. This year’s series sponsor is Heartland Co-Op of Waukee. Our next program in the 2018 series will be held Sunday, Aug. 5 at 1:00 p.m., when Rod Stanley will present “Nile Kinnick, Hal Manders and Bob Feller of Dallas County.” After the program, stay and meet the Waukee Area Historical Society Board of Directors and learn more about our organization and our goals. Other scheduled series programs include “Jack Trice – ISU Football” on Sunday, Sept. 9 at 1:00 p.m. and “Iowa Connections to World War I” on Sunday, Nov. 11 at 1:00 p.m. The November program will be presented by Fort Des Moines Education, and after the program we will have a reception honoring all veterans. We’d like to thank all of this year’s program presenters. In October, we will plan the Local History Series for 2019. We added a few new events this year, as well—including an indoor golf tournament and a Dallas County historical bike ride. Both events went very well and we are planning to schedule another indoor golf tournament soon, and another Dallas County historical bike ride in May of 2019. We are also planning our very first charter bus historical education trip on Saturday, Sept. 8. The topic of the trip is “White Pole Road,” and it will be narrated by Rod Stanley. We will leave Vince Meyer Learning Center at 10:00 a.m. and return no later than 3:00 p.m. The cost is $40 per person, which includes lunch at the Menlo Cafe. Online registration will be open from July 23 to Aug. 23. We must have a minimum of 40 people pre-registered to hold this event. 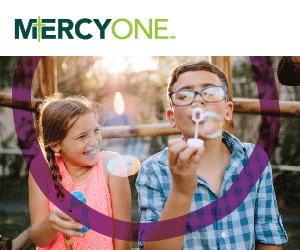 For more information, contact Sue Ellen at 515-782-0025. If you are interested in getting involved with the Waukee Area Historical Society, please contact us via email at waukeehistory@gmail.com. If you have any historical photos or memorabilia relating to Waukee, please contact any of our current board members or call 515-782-0025. Our current board members are Sue Ellen Kennedy, Marie Nizzi Kayser, Greg Ruble, Don Bailey, Terry Snyder, Anna Bergman, Larry Reed and Randy Yonz. We would like to thank everyone who has supported WAHS and our mission over the years. We appreciate your continued support. Without you, we would not be able to do what we do for our community and county. 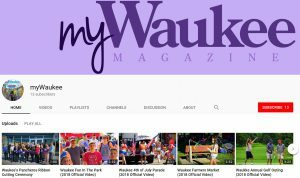 We created this video as a quick visual tour of the brand new Waukee Railroad Pergola in the Shadow of the Rails located on the Raccoon River Valley Trail’s southeast gateway trailhead in Waukee! It was completed and open to the public on Tuesday evening, March 27, 2018. Take a look and share the good news with your friends! For best quality, watch in 1080p HD! Enjoy! MyWaukee Magazine visited the brand new Waukee Railroad Pergola in the Shadow of the Rails today on the Raccoon River Valley Trail’s southeast gateway trailhead in Waukee! What a sight! It’s a thing of beauty and it will be an amazing spot for everyone to hang out at as the weather gets warmer, especially during the spring and summer time! It’s a great gathering place for the entire family with picnic tables and so much more. The Waukee Railroad Pergola is located on the Waukee Trailhead on the corner of Hickman Rd. & 10th St., Waukee, Iowa. 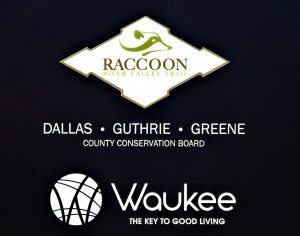 What a great accomplishment for the Raccoon River Valley Trail Association and the entire City of Waukee!! Make sure to go pay a visit, you won’t be disappointed! 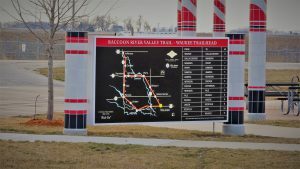 It’s the $1.1-million, 340-foot-long, 15-foot-high colorful gateway to the Raccoon River Valley Trail on the west side of Waukee. 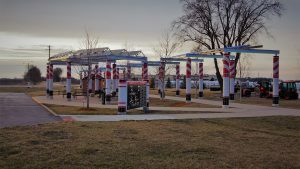 It was designed by nationally-known sculptor and “transportation artist” David Dahlquist, of Des Moines and Lake Panorama, and his colleagues at RDG Planning & Design’s Dahlquist Art Studio in the capital city. Components of this art installation will soon be going up at six other trailheads on the 89-mile trail system in west central Iowa. 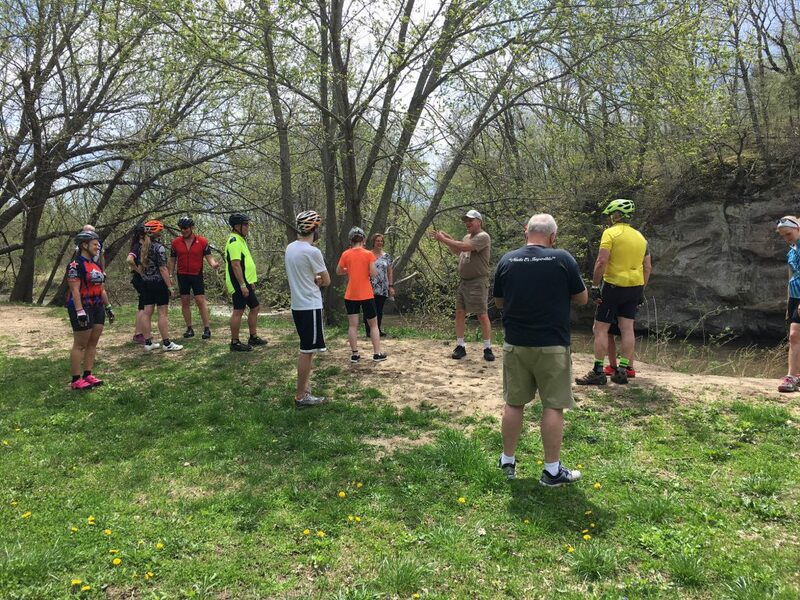 The development of the art project persuaded state officials to recognize the whole trail as an “Iowa Great Place,” making some state funding available, and then individuals, businesses, corporations and foundations stepped up with donations. You can read complete coverage of the development of the art installation right here. Several hundred people turned out on a chilly evening Tuesday for the ceremony, but as it went on, the sun peeked through the clouds that had lingered for days. Longtime Waukee resident Guy Blair is a man of many talents with an interesting life story. In 1942, when he was in second grade, his family moved from Earlham to the Cunningham Farm. Later, they moved south of Norwalk for a year and he attended a one-room country school. Guy remembers the teacher being in charge at the school and the older students helping the others—the third graders would help the second graders, and so on. Guy’s family moved back to Waukee when he was 12 or 13. When he was 14, he worked at Waukee Motors part-time on Saturdays, performing various service department tasks. Waukee Motors was owned by Nile Earp at the time and was located where Classic Floral sits now. Young and ambitious, and wanting to earn money, he quit school and started working for Harold Burger running a farmland tiling machine. A tiling machine digs a trench to lay down drainage systems for farm fields. It removes excess water from the soil below the surface. In the winter of 1951, with his seasonal job ending, Guy was approached by Waukee Motors to come back and help in the service department. By 1959, he had a family of his own and wanted to provide more for his family. He left Waukee Motors and started working as a mechanic at Iowa Jeep. When Iowa Jeep changed locations, Guy rented space from Burt Witte in Beaverdale and opened his own business. When the lease ran out, he leased Phillips 66 on Forrest Avenue in Des Moines. One day in 1961, he looked out from his Phillips 66 and saw Walt Hinkson sitting in the parking lot. Walt was there to offer him a full-time job back at Waukee Motors, which was owned at that time by Walt Hinkson and Jake Keller. In 1967, Guy decided to go back out on his own and opened Guy’s Auto Service on the north side of the railroad tracks in Waukee. Because he was the only mechanic there, he eventually burned out. In 1974, he sold the business to John Weir and accepted an opportunity presented to him by Lewis Baer—pulling an anhydrous ammonia applicator. He then began farming in 1978 and eventually retired in 2004. 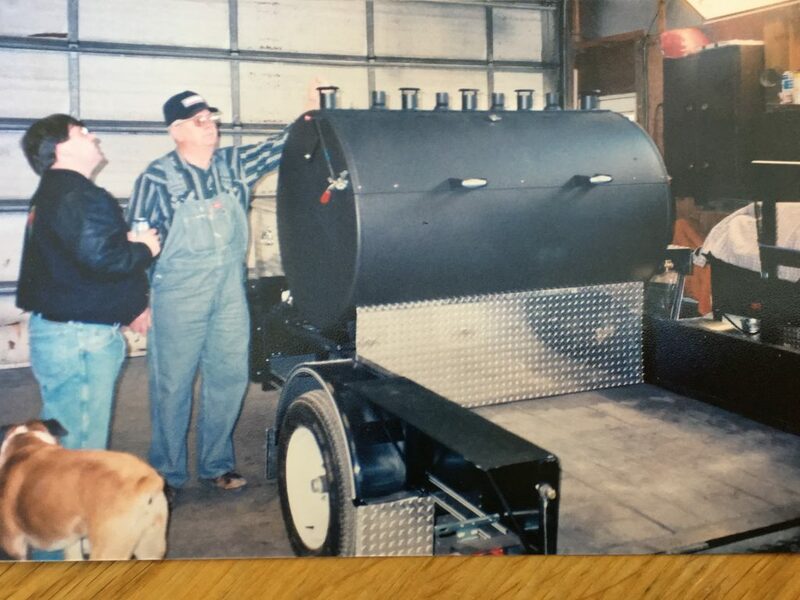 In 2003, he began building barbeque grills, building a commercial portable grill for Mark Anderson. Over the years, he has built 40 to 50 small grills. All of his orders have been exclusively from word of mouth. His grills are unique in that they cook the food using hot air instead of direct flames. The result is healthier food and more tender meat. In 2005, Guy completed a two-year project to meticulously restore a 1957, 450 International Tractor. Guy and his wife Jan have been married for 62 years and have been blessed with two children, Kevin and Shelly. When asked if they miss anything about our community no longer being a small town, Jan said she does miss “not knowing everyone.” The growth has brought many amenities to the area, however, and when asked which amenity they most appreciate, they both agreed that the variety at the grocery store is very useful, as it allows one-stop shopping. Thank you for your time, Guy and Jan Blair! It was a pleasure getting to know you both! For more information on the Waukee Area Historical Society, call 515-782-0025, visit waukeehistory.org or like our Facebook page. To preserve, honor and recognize the City of Waukee’s proud history as it continues to build the foundation and values for good living for future generations. John Henry Carter was born in Monck County, Ontario, Canada on July 19, 1856. In 1876, he came to the United States and settled in Dallas County, Iowa, securing employment as a brick mason in Dallas Center. In 1877, he bought a farm in Dallas County and worked the farm while continuing to build homes for eight years. He eventually purchased the farm next to his, for a combined total of 240 acres. John went home to Ontario in 1883, and returned to Iowa with his bride Susan Wills. In 1888, he rented out his working farm and moved his family to Waukee, where he built, by written accounts, a grand home of that time. John and Susan had eight children: A.B. “Burt”; Kathyrne; John W.; George; and Gordon; with three children passing—Roy, Letha and Henry. Susan passed away on December 7, 1904. If you live on Ashworth Drive in Waukee, check your deed abstracts. You may be living in the home built sometime between 1888 and 1890, referred to in this written account. John was well-known as the manager of the grain elevator. He established J.H. 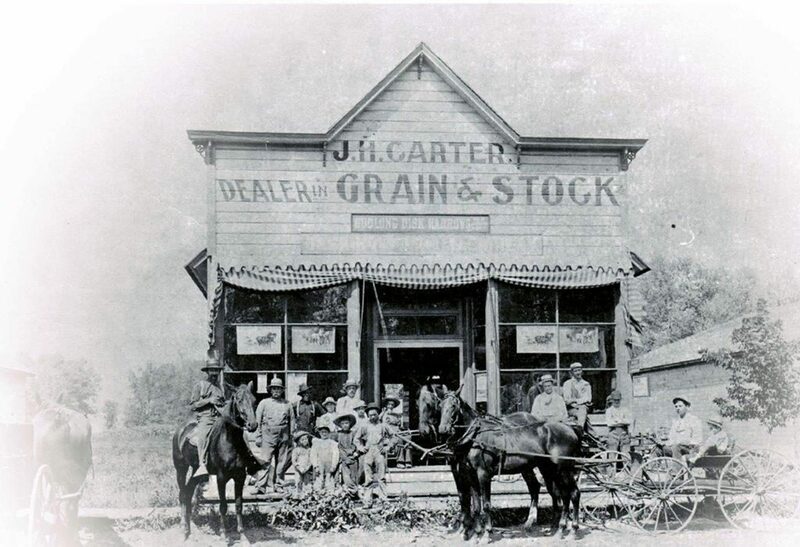 Carter Grain & Stock located on the north side of our downtown Triangle around 1890. The business sold coal, grain and stock. The original building burned in 1901 and was replaced. As Waukee grew, so did the business. Various hardware and farm implements were added to the inventory. By the 1920’s, John’s sons John W. and Burt joined the business, renaming it J. H. Carter and Sons. John passed away in March of 1939, and his two sons ran the business until the 1950’s, making it one of the longest-running family businesses in Waukee. John was interested in politics and was very involved in our community. He was a member of the Methodist Church, IOOF (Independent Order of the Odd Fellows) and the Order of Knights of Pythias. The IOOF was created to improve and elevate the character of mankind by promoting the principles of friendship, love, truth, faith, charity and universal justice. The Order of Knights of Pythias is an international, non-sectarian fraternal order that was established in 1864. This year, I will be focusing on men and women that were business and civic leaders in our community. If you have any photos, documents or other information of historical significance on John Henry (“J.H.”) Carter or anyone we feature in this section, please contact The Waukee Area Historical Society at (515) 782-0025 or waukeehistory@gmail.com. The Waukee Area Historical Society will hold an indoor golf fundraiser on February 24 at Broheim’s Indoor Golf and Pub. Please register on our website at waukeehistory.org. Be sure to check out our Facebook page for information on all of our upcoming events. There once was a building on Highway 6 with the words “Superior Popcorn Factory” written on its side. The Superior Popcorn Factory was owned by Chet Breckenridge. Established in the 1930’s, it flourished until he sold the company to the Heart of Iowa Popcorn Company in 1965, which closed in the 1980’s. During the Great Depression, Mr. Breckenridge operated a retail popcorn shop on Locust Street in Des Moines. He would buy popcorn from farmers and sell it to businesses—mainly Des Moines-area movie theaters. In 1941, he built the plant in Waukee and developed a wholesale popcorn business. His business later expanded nationally, selling popcorn machines to movie theaters, schools and carnivals. His main office remained on Ingersoll Avenue in Des Moines. Mr. Breckenridge dabbled in growing popcorn on a small plot of land for testing purposes. Most of his popcorn came from farmers he contracted to grow it for him. The farmers used corn pickers and then hauled the crop to the Waukee plant. Breckenridge’s hoist would lift the wagons, dumping the popcorn onto a conveyer, which would move it to a storage crib. The crib could store 20,000 bushels at a time. The popcorn would dry naturally in the crib until it was ready to shell. Scratched or cracked popcorn kernels would not pop correctly, so the workers had to use plastic buckets and handle the popcorn carefully. Air from a mill or cleaner was used to remove the chaff. A gravity mill was used to grade the popcorn, and the kernels were separated by weight. The heavier kernels were considered the better kernels. As the popcorn went down and around an incline the small and odd kernels would fall off to the side. The extra-large kernels were separated for uniform grade popcorn. Finally, a drying process was completed prior to packaging. The popcorn was sold in 25-, 50- and 100-lb. bags. Stores received cases of two dozen 2-lb. bags. Prior to 1941, the railroad near the plant was used for shipping. In 1941, they started shipping by truck. Today, there are no signs, buildings or any indication that this once-thriving business ever existed. Americans consume 17.3 billion quarts of popcorn per year. Popcorn is a whole grain. Most of the popcorn grown in the United States is grown in Nebraska, Indiana, Ohio, Illinois, Missouri, Kentucky and Iowa. Nebraska is the top producer, with 250 million lbs. per year. Popcorn kernels can pop up to three feet in the air. In the United States during the 1890’s, street vendors would push steam- or gasoline-powered poppers in places where crowds gathered, such as sporting events, parks, carnivals and fairs. The popcorn business thrived during the Great Depression because that’s when movie theaters began to sell it. Native Americans used dried herbs, spices and chili as popcorn flavorings. Fifty-five different varieties of popcorn are grown in North America. Most popcorn comes in two basic shapes when popped—snowflake and mushroom. The snowflake variety is used in movie theaters and ball parks. It looks bigger. Mushroom is used for candy confections because it doesn’t crumble. The first popcorn machine was invented by Charles Cretors of Chicago, Illinois in the 1880’s. The actual date is unknown, but he was issued a peddler’s license to use the machine on Dec. 2, 1885. Cretors also invented a large-scale automated commercial machine in 1893. In 1914, Cloid H. Smith founded American Pop Corn Company in Sioux City, Iowa. American Pop Corn Company launched the Jolly Time brand in 1925. Perry Spencer invented microwave popcorn in 1945. Popcorn sales decreased as the popularity of televisions increased in the early 1950’s because more people were staying home instead of going to the theaters. However, sales increased once again when popcorn became easily accessible to the everyday consumer.